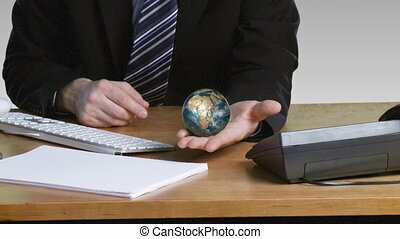 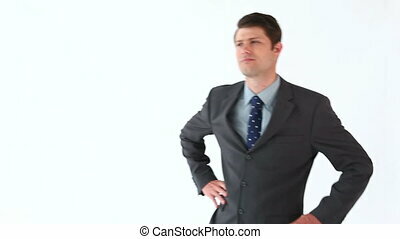 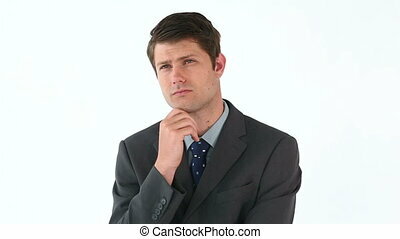 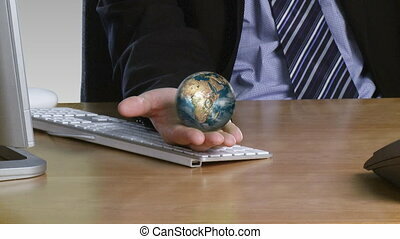 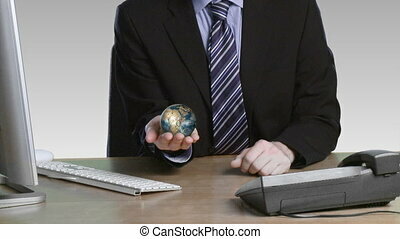 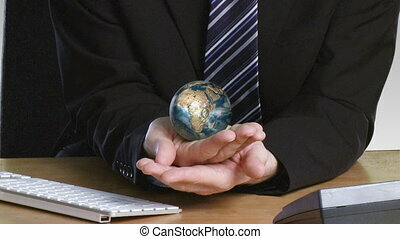 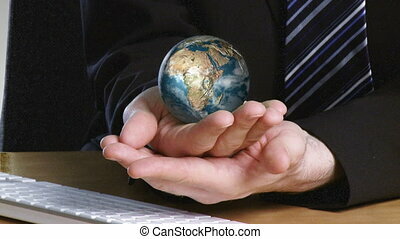 Businessman with a rotary globe on his open hand. 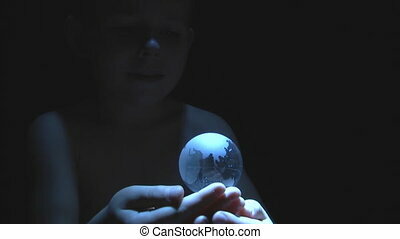 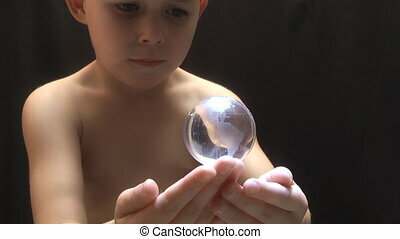 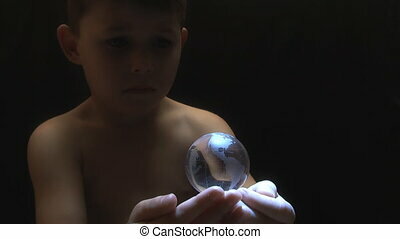 Young boy with a globe spinning and hovering over his open hands. 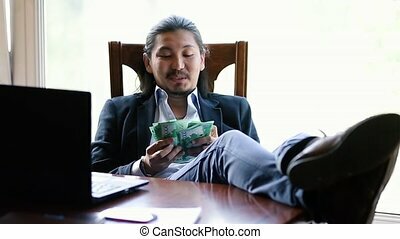 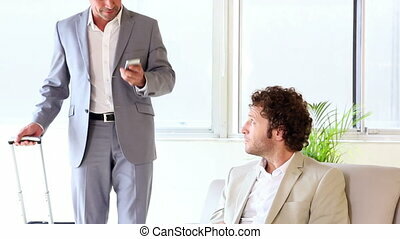 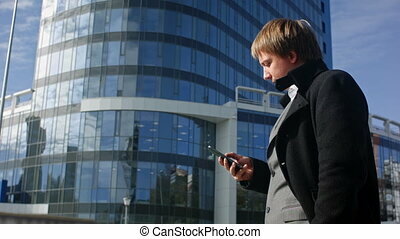 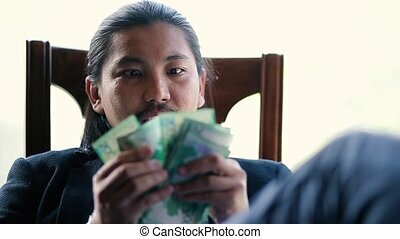 Successful businessman is reading a message on his smartphone. 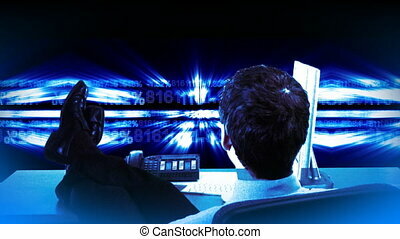 Professional shot on BMCC with high dynamic range. 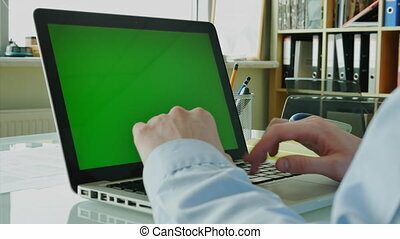 You can use it e.g in your commercial video, business or office video, reporting, presentation, music video, clips. 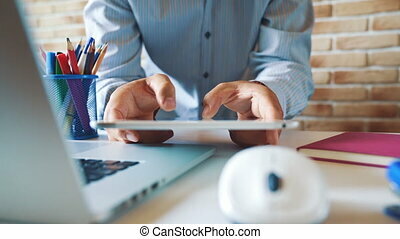 Young businessman working with tablet and typing on a virtual keyboard in his office at the workplace. 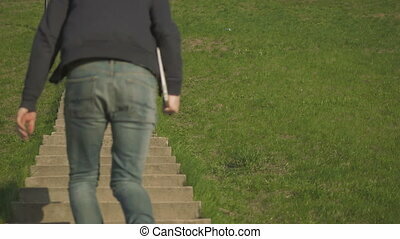 Very smooth dolly shot. 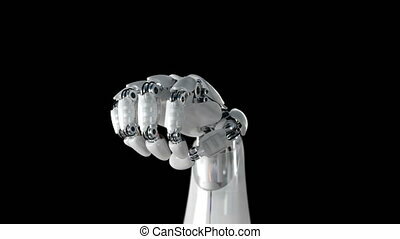 4K video with shallow depth of field focus on hands. 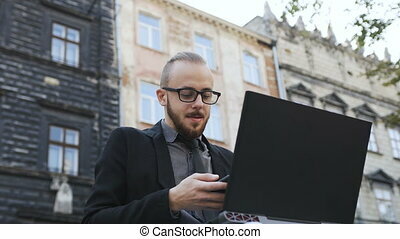 Young successful businessman is sitting on a lounger on a white sandy beach against the turquoise sea and using his laptop. 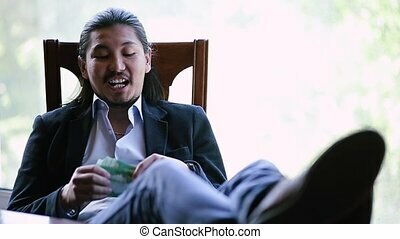 his legs lie on a suitcase with hand luggage.